Cadet recorded 17 yards on 11 rushes and five yards on one reception while only appearing in one game in 2018. Analysis: Cadet signed with the Panthers in the second half of the season but didn't play until Week 17, when the team was out of the playoff hunt. His 1.5 yards per carry made for an unimpressive performance overall. Cadet turns 30 next month and isn't likely to see anything more than a depth or special-teams role in 2019. 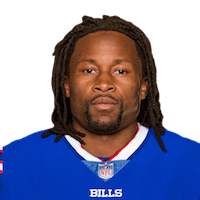 Cadet (coach's decision) is inactive for Sunday's Week 11 tilt against the Lions. Analysis: As expected, the recently signed running back will be out of uniform in his first opportunity with the Panthers. Cadet is expected to have a third-down/change-of-pace role in coming weeks behind starter Christian McCaffrey and backup Cameron Artis-Payne. 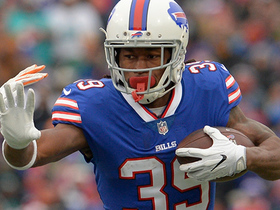 Offensive coordinator Norv Turner said Thursday that he assumes Cadet will be inactive for Sunday's game against Detroit, Bryan Strickland of the Panthers' official site reports. Analysis: Cadet signed a one-year contract with the Panthers on Monday after the team decided to waive fellow running back C.J. Anderson. As evidenced by this news, Cadet might need some time to learn the playbook before he suits up in game action. If Cadet doesn't suit up Sunday, Cameron Artis-Payne will be in line for the reserve role behind bell-cow back Christian McCaffrey. Cadet signed a one-year contract with the Panthers on Monday, Jourdan Rodrigue of The Charlotte Observer reports. Analysis: Cadet's place on Carolina's 53-man roster comes following the team's decision to waive veteran running back C.J. Anderson. Christian McCaffery remains the Panthers' clear bell-cow runner, so Cadet appears in line for a reserve role alongside Cameron Artis-Payne. 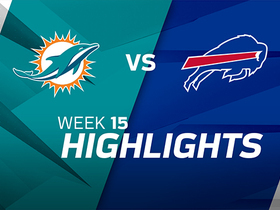 Buffalo Bills running back rushes for 12 yards. 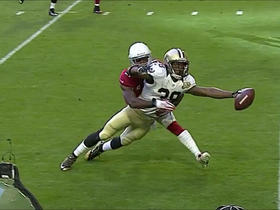 New Orleans Saints quarterback Drew Brees connects with running back Travaris Cadet on a 3-yard touchdown. 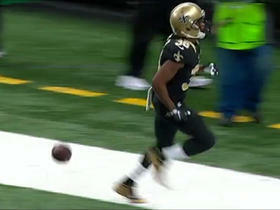 New Orleans Saints running back Travaris Cadet pulls in 11-yard touchdown. 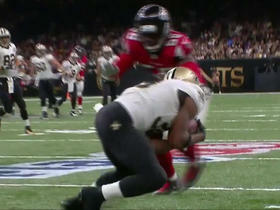 Following a Cardinals fumble, New Orleans Saints quarterback Drew Brees goes to Travaris Cadet for a 10-yard touchdown. Detroit Lions safety Miles Killebrew picks off New Orleans Saints quarterback Drew Brees to end the game. 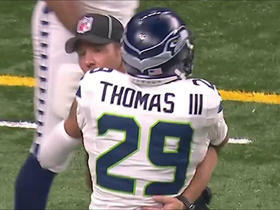 Check out Seahawks safety Earl Thomas as he gets flagged for hugging the referee. 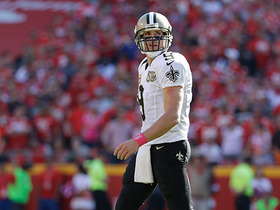 New Orleans Saints quarterback Drew Brees becomes the first player in NFL history with one hundred 300+ yard passing games. 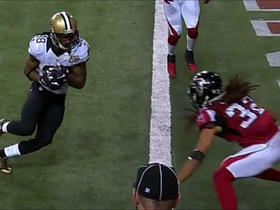 New Orleans Saints QB Drew Brees finds running back Travaris Cadet for 25 yards. 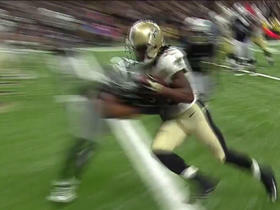 New Orleans Saints quarterback Drew Brees finds running back Travaris Cadet for a 2-yard touchdown.